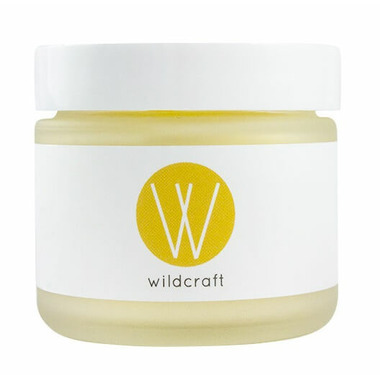 Wildcraft Geranium Orange Blossom Face Cream is designed with essential fatty acids and vitamin rich ingredients such as organic rosehip seed oil, geranium oil and orange flower water to restore your complexion's vitality. It feels rich in texture, but absorbs quickly into your skin, leaving it feeling hydrated all day long. Ideal for dry and aging skin. This cream is my ultimate favourite product. I wanted a natural cream that didn't break the bank and found this lovely little brand recommended to me. I've already gone through one pot and have ordered their entire skincare line. I can hardly wait for the toner, hydrating serum and eye cream. Absolutely best bang for your buck for the quality of the product. Thank you Wildcraft! This is my all time favourite moisturizer for my face. At first it felt too heavy to use, but now I am obsessed. It's perfect for the winter months. But I also used it through the summer. I used it more sparingly on my T zone area and have found that this doesn't make me break out. Also it has the best smell to it! I like the scent .... subtle & natural. I chose this product to hydrate and protect my dry mature skin (age 61) and it does. The only downside is that the cream does not completely absorb into the skin, so 15 minutes after applying the cream, I simply pat my face with a tissue to remove any excess cream. It is extremely rich and hydrating but I found that it was too greasy feeling for me to use as a day cream. I could feel it on top of my skin all day which I don't like. Having said that I don't have dry or mature skin so it may just be the wrong formulation for me. I will use it during the winter and as a rich night cream. Maybe even as a mask. It does feel nice when you apply it and the smell is lovely. Very hydrating, and I love the citrus scent. You only need a tiny bit. And I like knowing that I'm putting a truly natural product on my skin. There are absolutely no chemicals in this--it's as pure as pure can be. Reasonable price for a very high-quality product. Love this cream! It's very moisturizing and it smells nice. Great for dry skin! This is an amazing cream! It smells wonderful and truly smooths out my tired and wrinkled face. It comes on quite greasy but is quickly and fully absorbed into the skin. I have spent so much time looking for a cream I like, that feels wholesome, smells great and is not the usual chemical monstrosity of the mainstream beauty products. This is it--amazing stuff. Rich Hydrating cream that delivers. A little goes along way and also works well to freshen your skin before applying makeup. Great slip for application and scent is fresh and clean. Made in Canada as a bonus! The smell and texture of this product is lovely and it moisturizes well. Note that this is a pretty rich product, and some may not like that your skin feels a bit oily for some time after application. That said, it is great for drier skin. All-time favorite cream. A little goes along way - very rich but absorbs well - great for sensitive skin and adds a lovely glow.